The Magnolias | Aberdeen MS - Experience Our History! The culture of Aberdeen is never more evident than during the city's many special events, from leisurely tours of some of the South's finest homes and gardens to celebrations of music and art to a variety of holiday events. Even when Aberdeen is not hosting an event for the community, the city offers oportunities for amusement and personal enrichment. 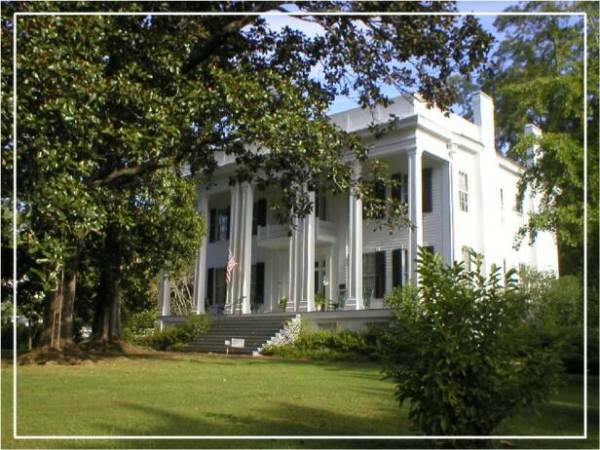 The Magnolias is one of the finest examples of antebellum architecture in Mississippi. Built in 1850 by Dr. and Mrs. William Sykes, this historic home is now owned by the City of Aberdeen and is open to the public for tours Monday - Friday or by appointment. 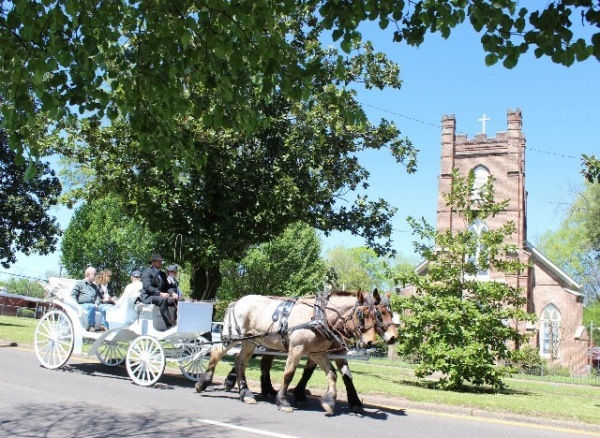 In addition to tours, The Magnolias may also be booked for weddings, receptions, parties and other special events. 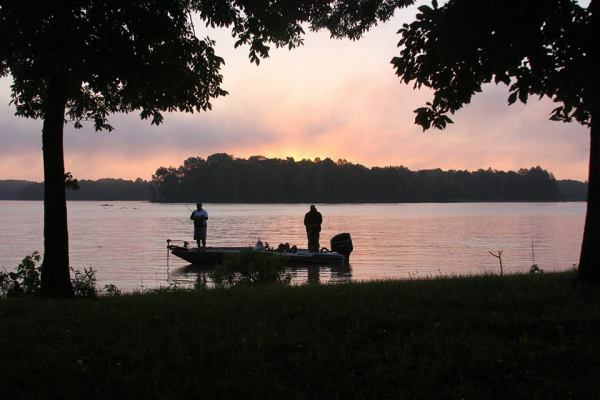 ​​Aberdeen Marina is conveniently located on the Aberdeen Lake and is used by many boaters enjoying the Tenn-Tom Waterway and the Aberdeen Lock and Dam. Located on the east bank of the lake at mile marker 358.2, just follow the buoy markers off the main channel 2,000 feet, or monitor Channels 16 and 68. The campground is a Class-A facility. The 92 sites provide accommodations which include concrete pads, picnic tables, grills, lantern posts, fire rings, electrical and water hookups and plenty of shade. Additional facilities include: handicapped/special access sites and facilities, picnic shelters, sewage dump station, laundry facilities, restrooms, hot showers, playground, hiking trails, game courts, and a swimming beach. For more information, contact the campground at 662.369.2832. For reservations, contact Reserve America at 877.444.6777 or visit www.recreation.gov. The Art Nouveau-style Elkin Theatre is an old part of Aberdeen history. When the Elkin opened in 1937, it was considered one of the finest and best equipped theatres in the south. In 1985, a group of local citizens purchased the Elkin and formed the Aberdeen Elkin Theatre Association. This dedicated group of volunteers is responsible for the restoration and preservation of this grand old piece of our local history. Their goal has been to provide a facility for the presentation of educational, creative and cultural activities for our community, as well as affordable activities and entertainment for all ages. Indeed, the Elkin provides a better quality of life for the entire community. 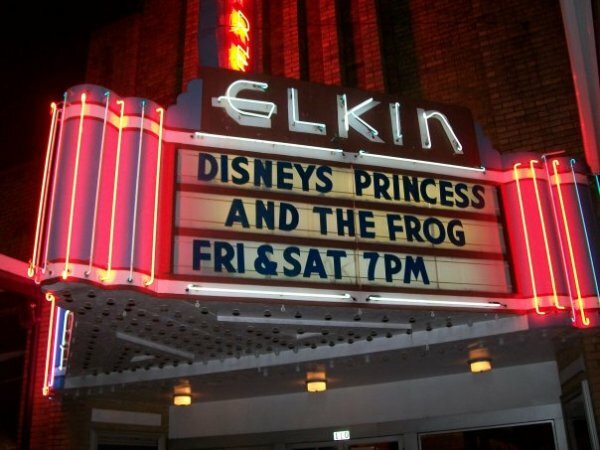 Currently, the Elkin shows one current movie every Friday and Saturday night and sometimes is home to art exhibits, dance recitals, band concerts, theatrical presentations, and community-wide meetings. Aberdeen is proud of our public library. Known nationally for its genealogical material and other historical research data, the Evans Memorial Library attracts visitors from all fifty states. The library offers both children and adult programs, including changing exhibits, monthly book lunches, and internet access. Aberdeen is famous for her variety of architectural styles and elements such as, stained and leaded glass windows, towers, bays and brackets. This little Mississippi town boasts outstanding examples of almost every period and style of Southern architecture. Antebellum cottages and mansions, ornate Victorians, turn-of-the-century neoclassical homes and substantial bungalows from the 1920s and 1930s all vie for your attention. Aberdeen's variety of architectural styles is truly her treasure! Download a copy of our Architectural Driving Brochure and follow the directional signs along the tour route. 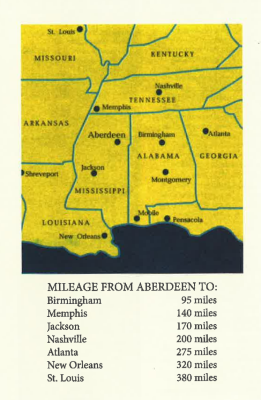 (Additional copies of the tour brochure are available at the Visitors Bureau office, as well as at the local antique shops in downtown Aberdeen). of many of the historic homes in Aberdeen. The cemetery dates back to 1838. Some of the most intricate and beautiful of the monuments, were sculpted by the Miller brothers, Richard and Cornelius. Their work is said to compare with the most skilled Italian artisans. It is the resting place for many pioneers and Civil War Veterans. Lies & Legends annual guided tours are hosted each April by the local high school with graveside portrayals of notable Aberdeenians. The cemetery is open year round, daily from dawn to dusk for self-guided tours. For more information call (662) 369-9440. 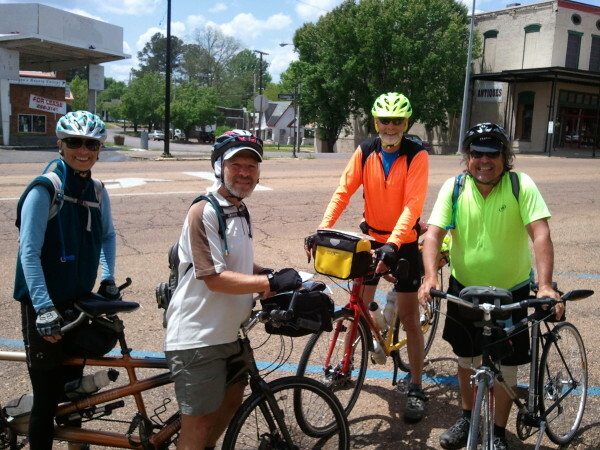 Aberdeen, with its rich antebellum-era charm, is an official Underground Railroad Trail stop on the route for cyclists. 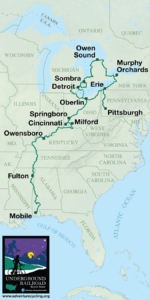 ride to Fulton, which ends the first leg.